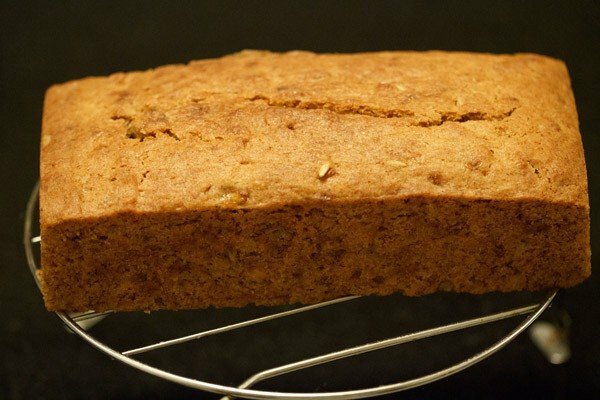 delicious, light and soft vegan banana bread recipe made with whole wheat flour, bananas, sugar and oil. 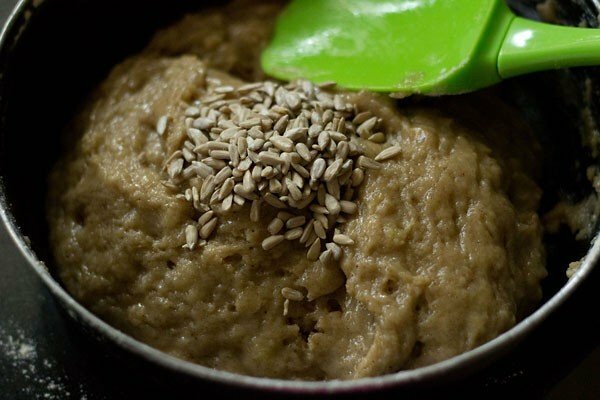 banana bread recipe – eggless and vegan recipe with step by step photos – so far this is the best banana bread that i have made. 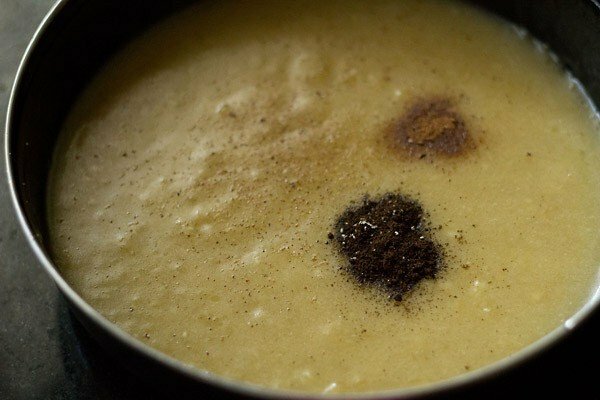 after i posted this recipe, it was tried and tested successfully by many readers. 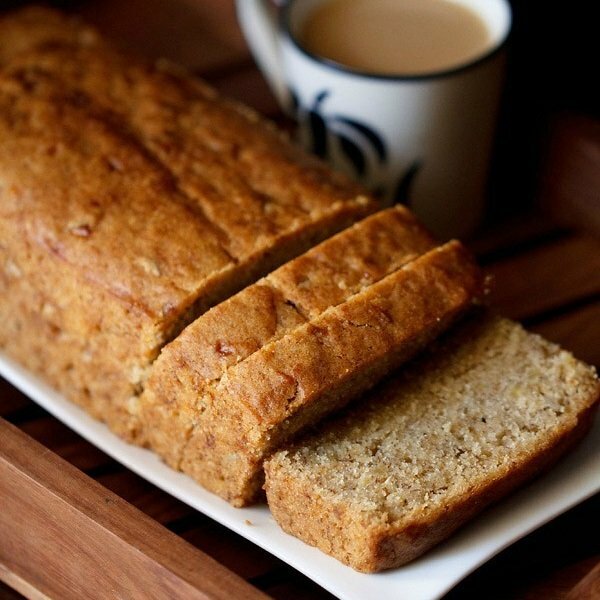 banana bread is an all time favorite and i often make this bread with over ripe bananas. since this is one of the most popular bread recipe on the blog, i have updated this post with step by step pics. 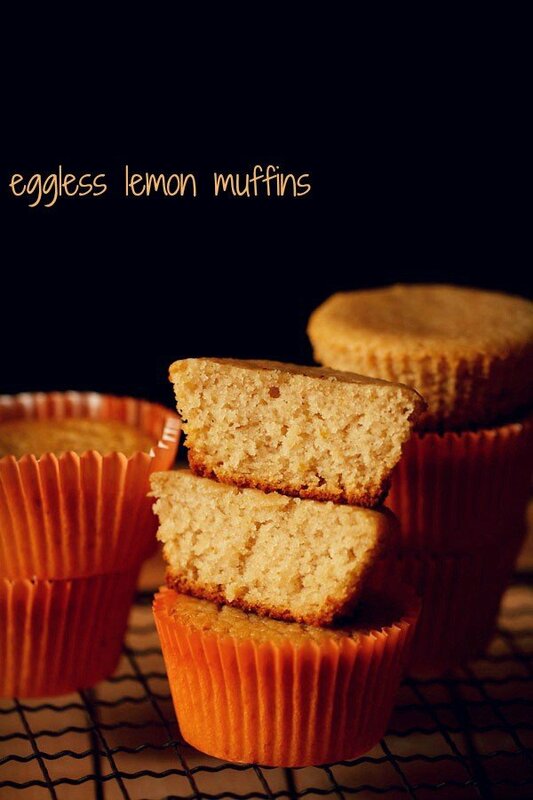 based on this recipe, i have also made eggless banana cake and banana muffins recipe. i made eggless versions as well vegan versions and somehow i was never satisfied with the texture of the breads. more so since i was using whole wheat flour. 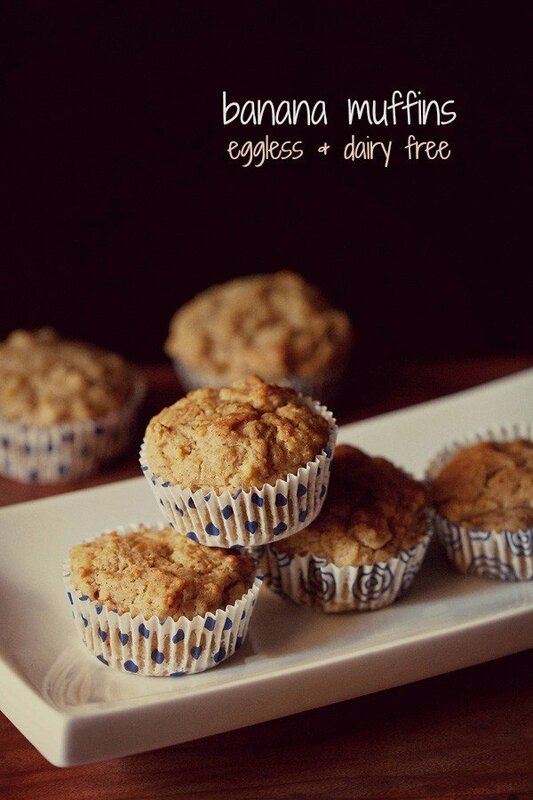 since i have had the banana bread made with eggs before, i know the texture and taste of breads & cakes made with eggs. i have been having regular cakes and pastries made with eggs till last year until i stopped adding them to my bakes. making an eggless or vegan cake or a bread is a challenge always, as one wants the best texture and taste in the bread. i added vinegar, buttermilk, cornflour and what not and never came to that perfect bread. most of the times the bread would be dry and not even moist. it would not be soft but a bit dense. and also crumbly at times. so one day finally, i decided that i will make the banana bread without using any of these ingredients and with what is easily available in my kitchen. i thought that if pureed banana is used as an egg substitute in cakes, than why do i need to add some other egg substitute to a banana bread? so i decided only to add bananas – a little extra and see the results. the result was moist, light and soft banana bread. 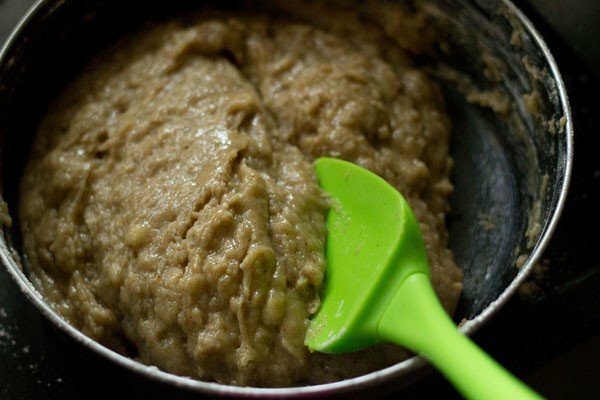 so in this vegan banana bread recipe, the two ingredients which contributes majorly to the texture of the banana bread is of course bananas and oil. i have not added any other ingredient besides the usual bread ingredients in this banana bread. i had flax seed but still i wanted to make a bread without flax seed powder as many of us do not have these readily available in their kitchens. i have added sunflower seeds in the bread to make it more nutritious but you can easily skip adding them. i have made the bread with organic whole wheat flour, but if you want you can make the bread with all purpose flour or half-half of both the flours. i have also made a quick video on the eggless banana bread recipe. since many readers have asked me the method of folding, i have slightly slowed down in the clip, while editing the folding step. 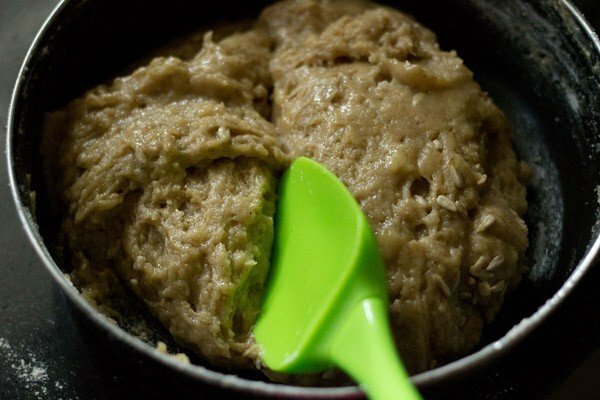 grease a bread tin or a rectangular cake pan with some coconut oil. you can use the rectangular cake pan of size ( 7.5 x 4 x 2.5 inches) or round cake pan (7.5 x 2 inches). take sliced bananas and sugar in a mixing bowl. mash the bananas well or puree them with a hand blender. now add the oil, vanilla, cinnamon powder, nutmeg powder to the banana and mix well. 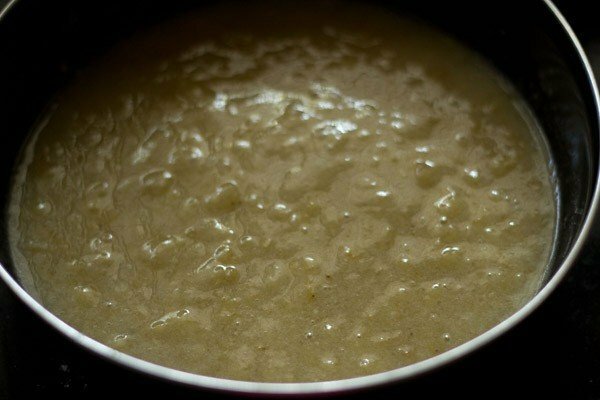 sieve the flour with the baking soda, baking powder, salt directly in the bowl containing the mashed bananas. fold the sieved flour really well. this folding step is important as you want the whole bread mixture to be one and mixed evenly. pour the bread mixture into the loaf pan. bake at 180 degree C for 30-40 minutes or till a toothpick inserted in the bread comes out clean. the timing varies from oven to oven. depending on the temperature in your oven and the size of your pan, the cake might take less or more time than mentioned here. so take your call and keep an eye on the bread. however don't open the oven untill the bread is ¾th done. the benchmark is that a tooth pick inserted in the bread should come out clean. when the bread cools down, remove the banana bread from the pan. slice and serve banana bread warm. the remaining banana loaf, you can wrap in a cling film or keep in a box in the fridge. warm the banana bread before serving. if coconut oil is added to the bread, it solidifies when refrigerated, hence the bread also becomes dense when you refrigerate it. so before serving just warm up the bread and the bread will have its natural texture back. sweetness of the bread can be adjusted as per your preferences. 1. first preheat oven at 180 degrees C/350 degrees F. then take ripe or over ripe 3 to 4 medium to large sized or 2 large bananas. in weight the measure is 300 grams or 10.5 ounce. slice the bananas and add them to a mixing bowl. 2. add ½ cup sugar. you can use brown sugar, organic unrefined cane sugar or granulated white sugar. all work well in this recipe. 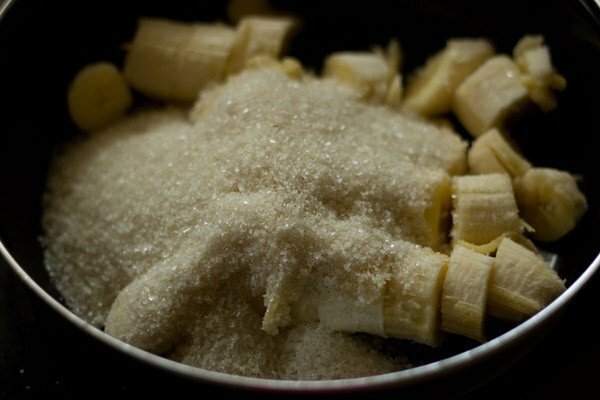 depending on the sweetness of bananas, you can reduce the sugar to ⅓ cup. 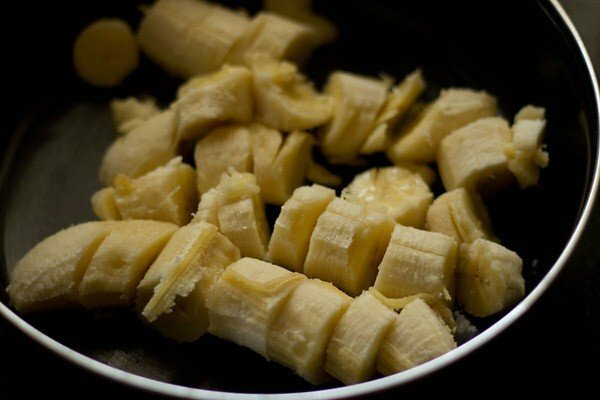 3. then mash the bananas with a masher or fork to a smooth consistency. 4. there should be no chunks. you can also use a blender to mash the bananas. fine threads of the bananas are fine. 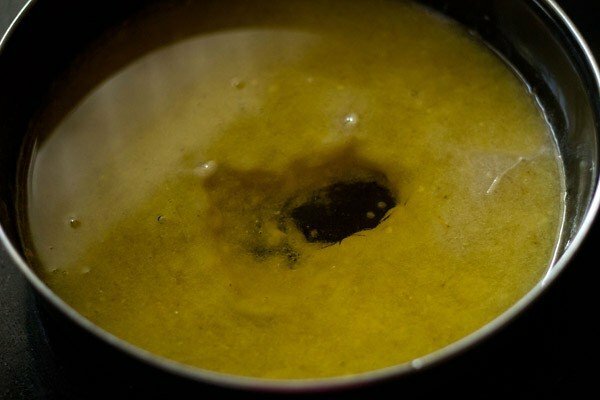 5. add ½ cup oil (125 ml). you can use any oil. i have made this bread on various occasions with coconut oil, safflower oil, sunflower oil, rice bran oil and even olive oil. 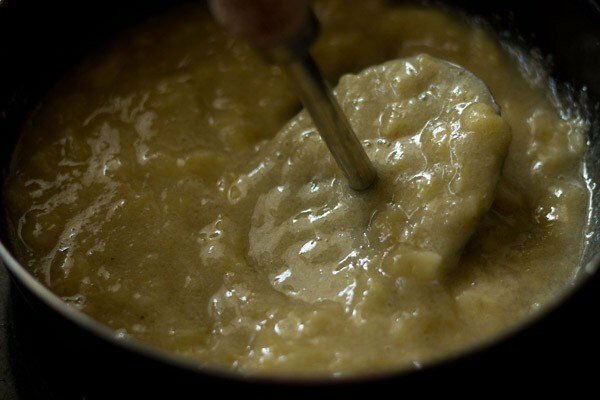 6. stir very well so that the oil mixes evenly with the banana puree. 7. add ¼ tsp cinnamon powder, 2 to 3 pinches or ⅛ tsp of nutmeg powder and ½ tsp vanilla powder or 1 tsp vanilla extract. both cinnamon powder and nutmeg powder are optional. 8. mix the flavoring spices and vanilla with the banana oil mixture. 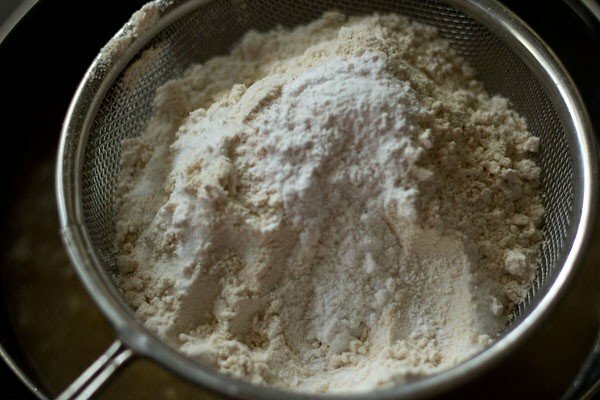 9. sieve 1½ cups whole wheat flour (180 grams), ½ tsp baking soda, 1½ tsp baking powder and a pinch of salt (optional) directly in the bowl. 10. here’s the seived dry mixture on top of the wet mixture. 11. gently fold the dry ingredients into the wet ingredients very well. don’t mix. this folding step is very important as you want the whole bread mixture to be one and mixed evenly without the batter getting deflated. 12. here’s the folded batter. 13. add 1 to 2 tbsp sunflower seeds. you can also add chopped walnuts or choco chips or any dry fruit of your choice instead of sunflower seeds. 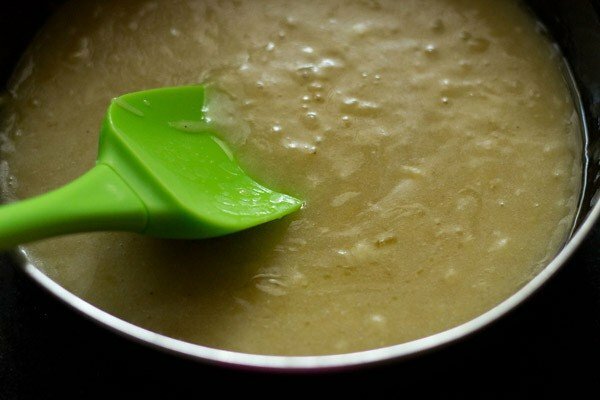 14. fold gently again once or twice, so as the sunflower seeds are incorporated in the cake batter. 15. pour the batter in a greased or lined loaf pan ( 7.5 x 4 x 2.5 inches) or round cake pan (7.5 x 2 inches). i forgot to take a pic of this one. bake in the preheated oven at 180 degree C for 30-40 minutes or till a toothpick inserted in the bread comes out clean. the timing varies from oven to oven. depending on the temperature in your oven and the size of your pan, the bread might take less or more time than mentioned here. the temperature varies from oven to oven. so take your call and keep an eye. however don’t open the oven until the bread is ¾th done. the benchmark is that a tooth pick inserted in the cake should come out clean. 16. when the bread cools down, then remove the banana bread from the pan. 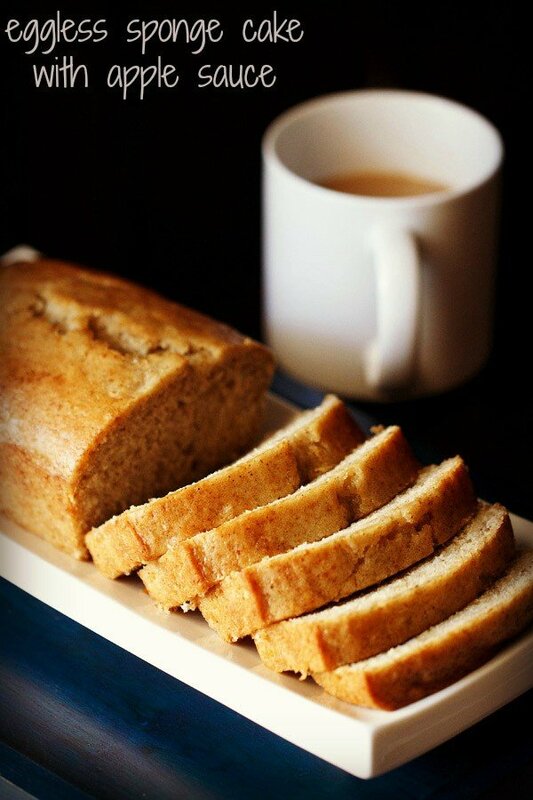 17. when warm or cooled, slice and serve eggless banana bread plain with tea or coffee. the remaining loaf, you can wrap in a cling film or keep in a box in the fridge. warm the banana bread before serving. 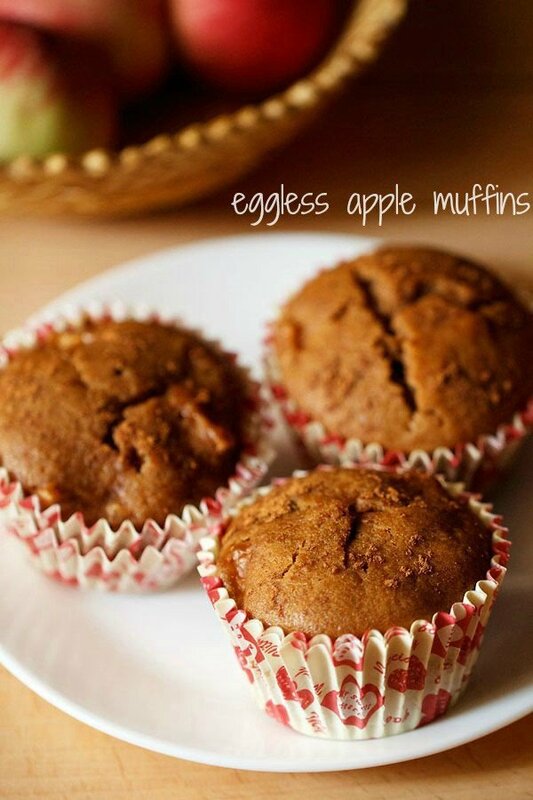 for more delicious banana recipes, you can check this collection of 24 banana recipes. Just made this recipe. Also added cocoa powder with some crushed almonds, raisins and sesame seeds to make it interesting. Worked beautifully and tastes perfect to have with tea or coffee especially warm during a cold evening. Hey, I m planning to buy an OTG.. Which OTG do u use? N how many liters of OTG is enough for small family.. Will try this recipe once I buy OTG..
manasa, i am using bajaj OTG 35 litres. it is good enough for a family of 4 to 5. for a small family of 2 to 3, even 18 to 28 litres will do. sure and happy baking. 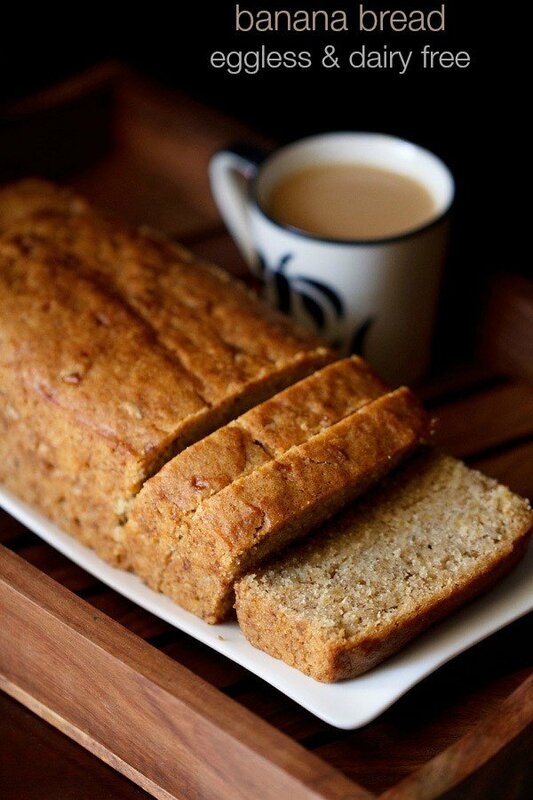 Can you please upload your quick banana bread recipe again on the site Or mail me personally. will email you in a day or two. I don’t own an oven. How can I do it on a gas stove? Can I use artificial vanilla essence instead of powder/natural extract? If yes, How much? 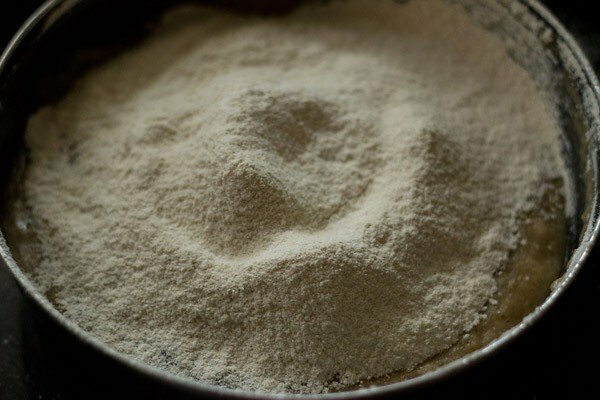 Also, can dry active yeast (how much) be used instead of baking powder? 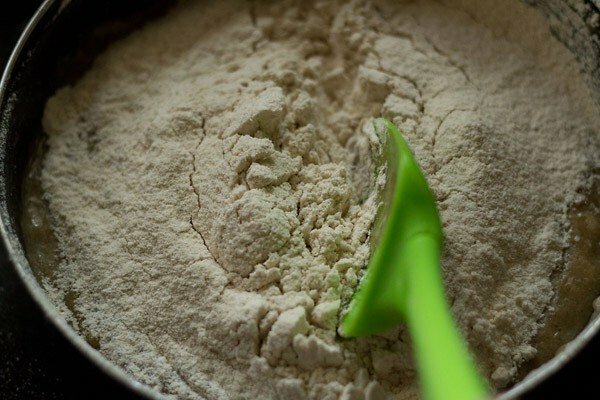 What is the best substitute for baking powder? Great recipe. Thank You. don’t use dry active yeast. baking soda can be used instead of baking powder. for this recipe then just add 3/4th to 1 teaspoon baking soda. I do not own an oven. How can I do it on a gas stove? And can I use artificial vanilla essence instead of the powder/natural extract? If yes, how much? BTW, great recipe. Thank You. janaki, in convection oven, baking is quick and fast. so either you can reduce the temperature or time of baking. so for baking banana bread you can use a temperature of 170 degrees celsius and make for about 30 to 40 minutes. OR you can bake at 180 degrees celsius and reduce the time. so check after 20 to 25 minutes if the cake has baked or not. secondly do not overdo the folding part. the batter has to be folded with light pressure from the hands and just folded enough so that everything is mixed well. keep the pan in the center of the oven and use both the top and bottom heating elements of the oven while baking. yes maple syrup can be used instead of sugar. Hi Dassana, Thank you for this recipe. I wanted to clarify if the same temperature should be fine if I’m using a microwave and what mode should I bake it on: convection? Thank you so much. welcome aparajita. for a microwave convection oven, you can use 170 degrees celsius. 180 degrees will also be fine. but sometimes convection ovens bake faster and the thus the top crust becomes too golden. so either you can reduce the temperature or reduce the time. also just use the convection mode only for baking. do not use any combination modes. hi sarah, i can send you the recipe on your email id. let me know. sure sarah. i will send you the recipe. welcome and thanks. Thanks a lot for this recipe. Turned out very delicious. I sprinkled a mix of seeds on the top just for added crunch. welcome tara. thanks for the feedback and rating on banana cake recipe. yes both seeds and nuts can be sprinkled on top. 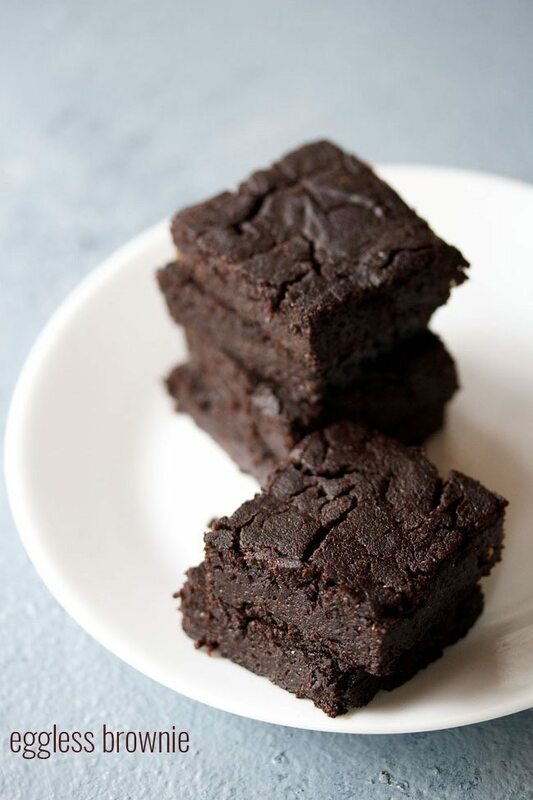 My favorite recipe and so easy! Sometimes I add ground flax and chia for extra nutrition and I typically omit the seeds and use walnuts. Sometimes I add a bit of sugar and cinnamon to the top and it gets crusty and extra delicious! 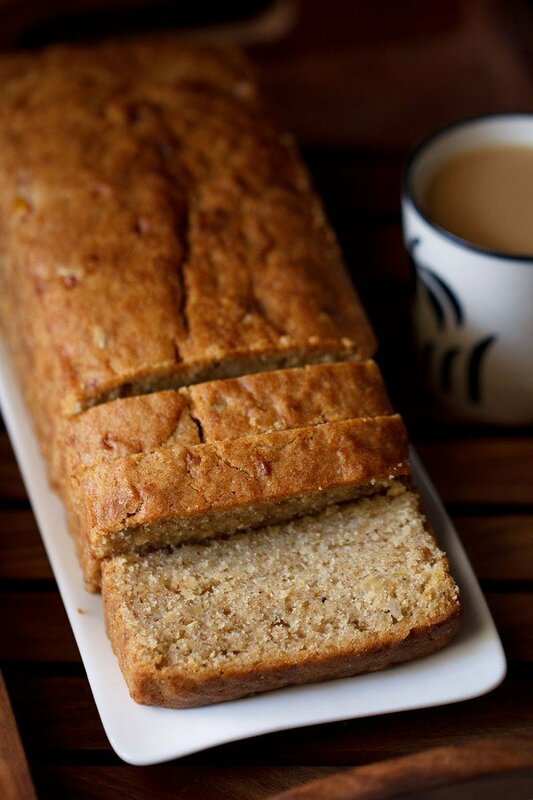 thanks becky for sharing all the variations you make in the eggless banana bread. it will help the readers too. also thanks for reviewing the recipe. HI. 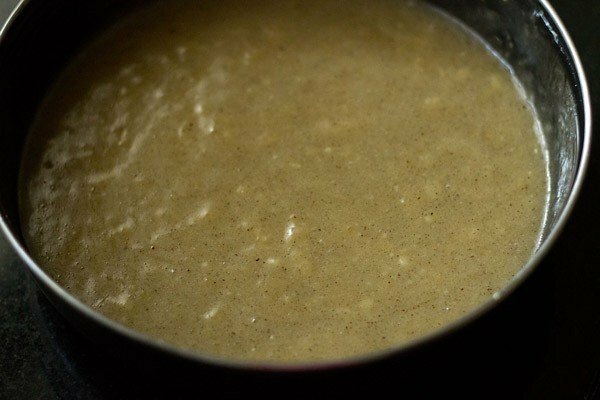 I was wondering if we can use honey instead of sugar in this recipe? avoid adding honey as it becomes toxic when heated. instead of honey you can add jaggery (gud), coconut sugar or palm sugar or palm jaggery. The best ever banana bread recipe. Tried and tested a gazillion times. Made so many variations using this as a base recipe! I have made the vegan version too for a friend and she said it’s the best banana bread she has ever had in her life. 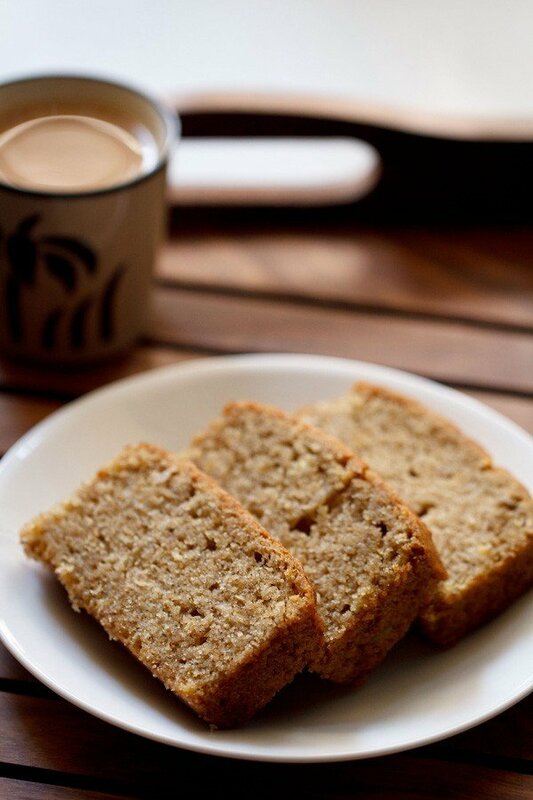 My husband buys bananas and wait for them to ripen and then urges me to make this recipe of banana bread. He’s that obsessed!! thats great to know neha and thanks again. your comment has definitely proved the point that this recipe is one of the best banana bread recipe on the web. 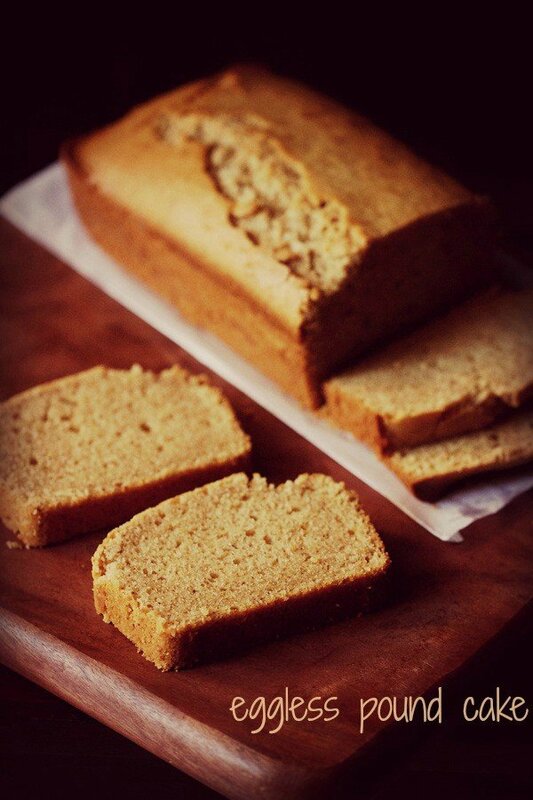 even i make this banana bread or banana cake when i have over ripened bananas. its a favorite with the family too. Wat is the proper way to steam cook this. Welcome Nisha. 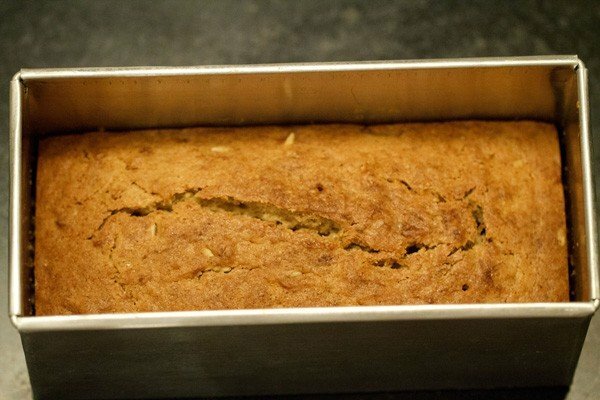 I never tried the steaming method for making this banana bread. So I don’t know how the recipe will work if you steam the bread.